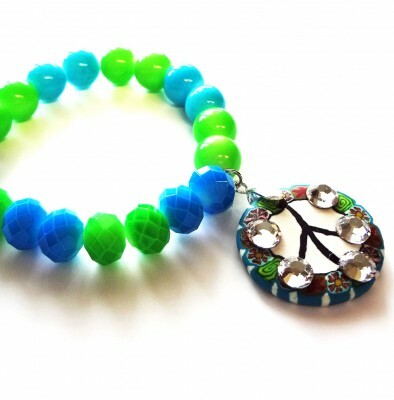 Fernando DaSilva made this collection of bracelets to showcase some of the new glass beads in the Dazzle-it collection. 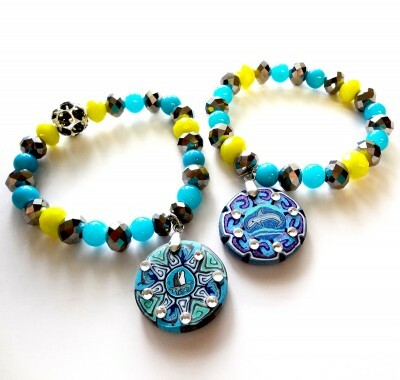 The bracelets feature fimo discs that Fernando embellished with crystal flat backs. 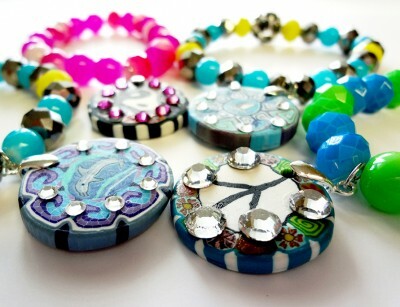 These fimo discs are 80% off! The hot pink is of course my favorite! These neon colours are completely on trend right now. 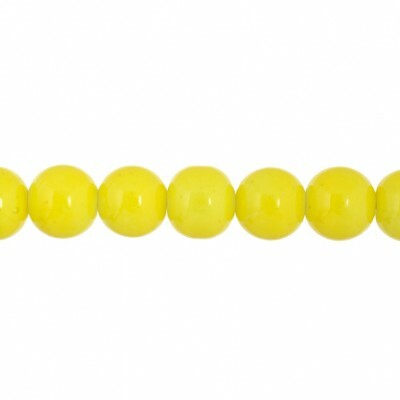 The link to the new glass neon beads is right here. The link to all the neon crystal donuts is here. 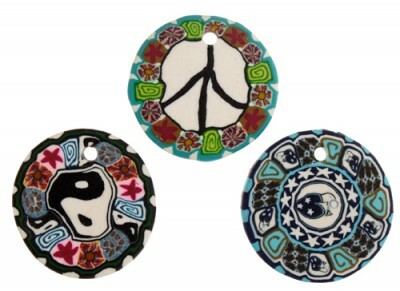 The 80% off fimo discs are linked here. Hello Sharon, you will need to email customer service. The information about becoming a wholesale customer is on the website. 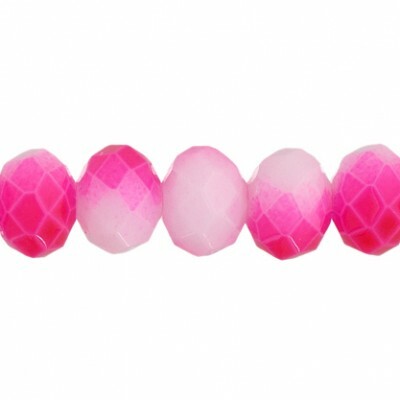 Next Next post: Dazzle-it Crystal Bead Bracelets!